Walk-in bathtubs are often advertised as an “amazing” product for seniors and people with disabilities, with the claim being that this type of bathtub will maximize your ability to bathe safely and independently. But will this bathing solution truly deliver all the safety, convenience, and comfort you desire? After all I’ve witnessed as an occupational therapist and home ability specialist, I would strongly urge potential buyers to proceed with caution, as there can be more inconveniences, safety risks and hidden costs present than apparent at first sight. There is an obvious – but surprisingly often overlooked – consequence of entering a bathtub through a door in the sidewall: You can’t prepare the bathtub full of hot water prior to climbing in and you cannot exit the tub until the water has fully drained out. To put this more bluntly – once you have stepped into the tub naked and pulled the door closed behind you, you could find yourself waiting up to 10 minutes or more for the water to rise slowly from your toes upwards. Then at the tail end of the bath, you could again be waiting as much as 10 minutes or more while sitting naked, cold and wet waiting for the tub to empty. Fill and drain times can vary greatly due to a combination of different factors, which include: your home’s water pressure, the tub’s drain type, and your home’s pre-existing plumbing. Furthermore, it is good to be aware that most walk-in bathtubs are designed to hold a bather in an upright, seated position. If you are of an average or above average height, there is a good chance that only the lower half of your body will be fully submerged. So if you are envisioning warm water soothing your aching back, neck and shoulders, you are likely to be left feeling sorely disappointed. Bottom line: A satisfactory bathing experience? – Probably not! Are you still on the fence about buying a walk-in tub? We understand some of you will want to buy a Walk-in Tub in spite of all the drawbacks listed above. If you are one of those persons, we recommend that you read the article Walk-in Tubs: Buyers Beware! to learn about some of the shady practices going on in the walk-in tub industry and the article Walk-in Bathtubs: Potential Hidden Costs to learn about unexpected expenses that can come with purchasing and owning a Walk-in tub. Bed Rails: Which Type is Best? Toilet Rails: Which Type is Best? Hello! You may want to try calling your local Planning & Building Permitting Department to ask if they believe there is a plumbing compliance issue in regards to the way it was installed and if they believe there was, then ask them what the best course of action would be to remedy the problem. If you do get the opportunity to start over fresh, you may want to consider a curbless shower. Visit this article to learn more: Curbless Showers – A Great Age-Proof Bathing Solution! Alternatively, if you are specifically seeking a soaking bath (versus just a safer means of bathing) and you are given the opportunity to replace the tub itself, it is helpful for you to be aware that walk-in tubs can be equipped with different door types. They can have a door that swings inwards into the tub’s interior, a narrow door that swings outwards (which does not expose one side of the seat), or a wider door that opens up outwards and does expose one side of the seat. The walk-in tub models with inward-opening doors are the least safe because if you cannot drain the water, you will not be able to open the door or if a slip occurs inside the tub and you are unable to get up, your body will block the inward-opening door from opening thereby effectively creating a cage from which some people have found themselves unable to escape. Models with an outward-swinging door that opens up to expose one side of the seat, often referred to as a Slide-in tub are generally the safest options. Slide-in tub models differ in where the door release mechanism resides. If you opt to pursue this route, confirm the model selected has a door release handle installed at a reachable location from floor level, in the event you were to slip and find yourself seated on the floor of the tub. So grateful I found your site! I was planning to purchase a walk in bath — but have definitely now decided against it. Salesman was in my home today (attended a seminar 2 days ago). I did agree to purchase, and did sign. Contract says I can cancel within 3 business days. I made 1/2 downpayment now with remainder due at time of installation. I used my credit card. I asked many questions of salesman because was just unsure if this was a sound decision. After starting to do research and finding your site, I know it is not wise to make this purchase.. I have read most of your articles; am thankful for someone who shows the reality, the pros perhaps but especially the cons. I have bookmarked your site and know I will refer to it often — will also share it with friends and family. Thank you again! This was what I was looking for — the facts that I was searching for on this topic — and didn’t know where to look. Thank heavens I found it before making what I know would most likely have been a huge and costly mistake!! We are happy to hear you found the content beneficial. We hope you won’t have any difficulties recouping your downpayment. Thank you for taking the time to share your experience with both us and other readers! I’m not getting any younger, and feel it’s only a matter of time before I need one of these baths. Can you please send me a catalogue to order from ASAP. Homeability is an informational resource only and does not sell any of the equipment discussed. It has recently come to our attention that two people have died inside their walk-in tubs. One slipped into the footwell and was trapped for 3 days, then died shortly thereafter due to medical problems accrued from being stuck in the tub. Another person slipped into the footwell, was unable to keep their head above the water, and drowned. It is our humble opinion, a walk-in tub is not the right solution to promote safety in your older years. We highly encourage you to read the article Walk-in tubs: Buyers Beware! to learn more about the drawbacks of walk-in tubs before considering one. A curbless shower is the most age-proog option. A slide-in tub is a possible consideration if you are seeking a soaking bath. Desperately need your help! Read this article before which lead me to find a tub a senior can lie in the tub with outward opening door. The tub floor is comes up a couple of feet which allows the senior to sit down , swing their legs in and be in the tub! Can’t find the website now :(. Any help would be great!!!! We have a separate article dedicated to slide-in tub types. There are not many lying down-style models available on the market in the United States, but of the models that are available, they can be found with doors that open sideways, outwards, or upwards. Some have doors that can be opened manually while others rely on electricity. A door that opens manually is always preferable if space allows because there is less risk something would go wrong and prevent you from exiting the tub. See this article to learn more about the different types and to see some examples: Slide-in Bathtub Buying Guide. Thank you for your article. It has answered many of the reservations I have about investing in a walk-in bathtub. The commercials are certainly misleading. I especially appreciate the note about getting stuck in the bathtub, quite scary. Again, thank you very much for a very enlightening article. Thank you for your honesty and viable alternatives to senior bathing. We don’t have the cash to waste on something we would later regret!! Rhonda, I have read your misconceptions and you really do paint a black and bleak picture. I was wondering if you researched some of the good things these provide. You are correct in the fact there are some pretty shady characters and companies in this business.That is why I started my company to help everyone sift through them and get a little better understanding with the research they do. The good thing about me is that I do not do this for a living. I served in the Army and the Air Force during Vietnam and then spent 30 years with IBM before retiring — or so I thought. I came to find a lot of the info you provided to be correct when I started researching for my mother. I saw a need to really do the leg work and research for everyone so they would not be taken advantage of. I started Bathing Safety to do just that. I personally have a little over 3000 customers located all across this great country of ours — including 6 in Alaska and 2 in Hawaii — who will give glowing praise on what I provided. I have saved them thousands off brands that charge way to much. I provide contacts with high quality products. I provide all my information and research for free. I make sure that the consumer is aware of what to look for, what questions to ask, what prices should be. Not everything is as bleak as you paint it to be. Depending on what you get and certain companies — your observations are right on. BUT with the right pricing and product, these are wonderful. I have a 32 year old man with MS — all the way up to a 96 year old lady in Ohio that still works at Walmart stocking shelves—that love their tubs. I noticed the alternatives that you are promoting and in all fairness, I sometimes suggest those to certain people that call me. I would be glad to offer your product on my website as an alternative. Firstly, THANK YOU for your military service! I can see from your website that you offer one of the lines of tubs that is featured in our article titled “Walk-in Tubs Made in the USA”. It is clearly important for you to support local companies, which is commendable. Yes. We agree warm water has therapeutic benefits and that a walk-in tub can work for a period of time for a person with MS, Parkinson’s Disease or for someone who is aging. But, the problems come into play when a person’s medical symptoms advance or their strength declines further, at which point walk-in tubs can block people from accessing the therapeutic benefits of warm water at all. Another noteworthy concern discussed in the article above is that walk-in tubs with inward-opening doors have potential to trap people inside. Most walk-in tubs have higher walls than standard bathtubs, making it doubly hard for persons who may find themselves stuck inside to escape. There are other bathing solutions available that can allow people to enjoy the therapeutic benefits of warm water which are safer and more future-proof, some of which are described at the end of the article. Rhonda, thank you for your reply. You offer a great service to everyone. I have watched some of your videos and they are extremely helpful and informative. Please keep up the good work. site. Thanks for the information you are giving others who look for it..Will sure save them a lot of money and worry about this worthless tub. Salesman was high pressure and made everything sound so good, but I blame myself for trusting and believing him. So buyers beware! Rhonda is giving you good advice. All of the negative reviews (in my opinion) are exactly correct. Tried to contact company I bought from, to express my concerns, but got no reply. We are sorry you are stuck with a tub you hate! Thank you very much for writing and sharing your experience with others. Your story and insights will help alert other people who are pondering this type of bathtub that there is a very real chance a walk-in tub will not live up to all of their dreams after it is installed. I am trying to consider anything which would make it easier for someone to care for me, if and when needed. I had heard all about the walk-in tubs and it sounded great. I set up appointments with two different brands of tubs and make a decision based on what they told me. However, now that I have taken the time to check and read about them, I do see that they would not be much help at all. I did give them a down-payment and put off the installation for a month or two. However, now I am going to call and cancel the entire transaction. They haven’t done any work for me at all but I doubt that I will get my money back. So, just learned an expensive lesson. Thanks for your information. I have read with great interest the disadvantage of a walk in bath. I have recently made enquiries about the bath and not one person brought up any of the facts I’d only fill when your in wait till drains before exiting .Thankyou you have saved me a great deal of expense and a lot of misery . A lot of writers post an article and never defend it, but not you. You defend your position with needed facts and I appreciate that very much. You reply to comments left where most writers leave commenters to argue among themselves and your replies are just as informative as the article itself. Thank You for opening my eyes about walk in tubs and supporting your position with facts. Thank you for taking the time to share you thoughts and for the kind words. Your feedback is very much appreciated. Thanks so much for this fantastic article. Bless you. I am in the design stage of adding living quarters for my wife and myself to our existing home and have my daughter and family move in and was just getting prices on walk in tubs and came across your article. Upon reading I have been enlightened big time as to the cons of a walk in tub which I had never given thought to so I will NOT be going ahead with the puchase but look at getting a regular tub and install safety handles to assist us in getting in and out of a regular tub. Thank you so so much. Thank you! We are very happy to learn you found the article beneficial. FYI: You might have a spacious bathroom that allows for both a standard tub and a separate shower stall, but if you do not, you may want to consider the benefits of a curbless shower vs. the standard tub with grab bars. Curbless showers are one of the most future-proof bathing options. To learn more, visit: Curbless Showers – A Great Age-Proof Bathing Solution! I’m 70+ and really like to take baths. A conventional tub was becoming too hard/unsafe to use. In my house remodel, I created a full wet room with a Japanese soaking tub dropped into the bathroom floor. I put a wide deck all around at normal seat height. I fill the tub, sit on the deck, swing my legs into the tub. I’m in a standing position then simply sit down on the tub seat. I reverse to procedure to get out. Very easy, no strain and no long wait for the fill/drain cycle. I’ve been using it for 2 years with no problems at all. Thanks for sharing! Yes. The large jacuzzi, whirlpool, Japanese-style bathtubs are easier for many people to get in and out of than a standard bathtub. 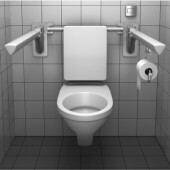 This can depend, however, on the height of the molded seat and on the position of the seat inside the tub compared to the point where a person needs to enter the tub. So, persons who are considering this option should carefully take the tub model’s seat features into consideration when making their final decision. It sounds like you made the perfect choice to fit your bathroom and physical needs! I bought a walk in shower/bath with a door. A surveyor came round from Premier Care, measured up etc. It was duly installed. BUT what the Surveyor omitted to do was check how we got our hot water. Yes there was thermostatic water controlled taps fitted but that only worked if the emersion tank was full of hot water. To my horror, I could never fill up this sit down bath and has been exasperated ever since. I did try to complain but got nowhere. Now I have managed to save enough money to buy a proper length bath again and will have this one ripped out. I was not a happy customer. The personal experience you shared will help to open more people’s eyes to the drawbacks that can come with owning a walk-in tub. Thank you for taking the time to share your experience with others! Other readers who may still be on the fence about purchasing a walk-in tub are encouraged to read our sister article to this one about some of the shady practices in the walk-in tub industry: Walk-in Tubs: Buyers Beware! Thanks for the information on walk-in tubs . I was considering purchasing a tub since I have had knee and hip replacements . The first issue I had was the companies calling after I researched some tubs . I want waste my money . Cost was $5000 and up . The tubs are necessary for some, but NOT me . Cost is to much for seniors . We installed a walkin tub for my mother-in-law nearly 10 years ago, and she has been using it regularly since them. She is 95 now and enjoys her baths. I installed two infrared heat lamps in the ceiling above the tub which she turns on when she’s ready for the tub. I installed the quick drsin kit that I ordered with the tub, and a 16 gpm faucet to fill it. With the heaters turned on, she is warm duting tge foll time and the drain times. She’s getting towhere she needs help taking a bath, and my wife has found the tub very easy to use to help her. With a little pre planning, these tubs can be a very useful addition. Thank you for sharing your experience with other readers. We are glad to hear it has worked for your mom thus far. For other readers who are considering a walk-in tub, it is important to keep in mind that the tub drain speed will depend in large part on the plumbing in your own home. Yes. We agree a heat lamp is definitely a welcome addition and can be extremely useful for a person who is elderly, whether bathing or showering, because our skin tends to thin with age, allowing heat to escape and making it more likely a person will feel chilly. From my own experience working as a therapist with persons with physical disabilities, the negatives for Walk-in Tubs still outweigh the positives in most cases, so readers are advised to weigh all of the pros and cons when making their final decision. 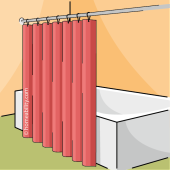 As noted in the article above, the drawbacks include that it can’t be filled until after a user enters; a user can’t exit until after it fully drains; it is possible, and it has happened, that people have found themselves trapped inside of the Walk-in Tubs with an inward opening door and required 911 emergency services to assist them out. Lastly, if a person grows weaker or experiences an injury, this type of tub can cause a person to be relegated to a lifetime of sponge baths at the sink, as described in “Misconception 4″ in the article above. Others have shared some of their own problems with their walk-in tubs in the comment section below that readers should take into consideration as well. I have a walkin tub that was in the house when I bought the home. After using it a few times I have found it do be vertually useless ; not a bit better than a regular tub/shower combination. Devices can be purchased to be used in regular tubs. In addition, things happen to people that cannot be fixed to make living as good as it once was and that includes tacking a bath. In my Mother had a saying, ” Live with it ” . There also was a walkin/ shower with a seat in it installed in this house. This item is highly recommended and far better than the walkin tub. There are too many cons in my book to justify a walkin tub. There are a few tubs available with standard-height tub walls, that have a short door in the side wall and are a full length tub. One such tub type would require you to be able to sit down and stand up from ground level to use it. See example #13 in this article: Accessible Bathtubs – An Amazing Diversity! I’m not aware of any like this particular type that have the jets as well though. In that same article you will also see models with short doors and a seat that raises and lowers (See #14 and #15). Those tub types can usually be ordered with air jets, which amounts to a gently bubbling bath, but I’m not aware of any with water jets, which would provide more of a massage-like effect. Tubs like those that are featured in #14 and #15 of that article tend to be a bit pricey, often upwards of 20K+. Another option you may want to consider is a lying down-style Slide-in tub in which the tub’s floor is positioned at chair height, similar to the tub featured in #4 of that same article. There are slide-in tubs available that come with the various jet options and are nearly a full length tub. Examples can be viewed on the second page of this link: Slide-in Tubs. Thank you so much for this information. My mom will be moving in with us shortly and she is used to using a bath bench transferring to a shower and my husband and I were debating on whether to get a walk in tub for her use. After reading your article, I have decided to let her continue using a shower (especially since that is what she is used to) instead of the WI in tub. She would freeze to death while waiting for the water to drain and there are so many other problems that you pointed out that I had not thought of. Again, thank you. Thank you in return for taking time to leave a comment. We appreciate the feedback! Thank you so much for this very well written and informative article. I had planned to get a walk in tub but wasn’t sure it was the best thing. I didn’t realize the other options and I am going to go with the lift tub chair. The sliding bench didn’t work for us because my husband kept thinking he was going to fall. I really appreciate your input. Your welcome. Thank you for taking the time to share your comment! It sounds like you are considering one of the portable “bath chair lifts” that get placed inside the tub. Bath chair lifts make it easier to get up and down from the bottom of the tub, but if your husband does not feel comfortable using a standard bathtub bench at this point in time, I suspect he may be hesitant about sitting down on and standing up from a bath chair lift as well. If he is seeking a solution to make soaking in a tub possible, another option you ‘may’ want to consider is a slide-in tub. The benefit of a slide-in tub is that it has a stable seat, which it sounds like he would feel more confident about transferring on and off of. Notably, Slide-in tubs still have some of the same problems as a walk-in tub, however, they are much safer and more future-proof than a walk-in tub. Removing a standard bathtub entirely and installing a curbless shower is the safest, most future-proof bathing solution for most people. Have handicap adult daughter. Would appreciate further knowledge of equipment to aid her in at home care, especially bathing. Curbless Shower – A Great Age-Proof Bathing Solution! If you have a bathtub and are seeking equipment to make the transfer in and out easier, this article provides an overview of many different types of options: Getting In & Out of the Bathtub: Benches, Lifts, and Transfer Chairs. If you are specifically interested in a specialized bathtub, this article provides a summary of many of the different types of bathtubs inventors have created and some of their pros and cons. Accessible Bathtubs – An Amazing Diversity! I hope this information helps to get you started and enhances your awareness of the variety of options that are available. I would recommend to consult with your healthcare provider about having a home consultation done by an Occupational Therapist or Physical Therapist to further aid you in determing which solution is likely to be best suited for your daughter’s needs. I agree with everything in above article. We purchased a walk in tub basically top of the line for my grandma who is in a wheel chair but can take some steps on her own. She was freezing whenever she used her tub and had a hard time not slipping getting in and out. We were all so excited to get this tub so she could bathe and she ended up only using it 2-3 times, she didn’t like it. She passed away a few years ago and were trying to sell the house for 2 years and biggest complaint is the tub. It’s a family oriented neighborhood and perfect family home but you can’t blame buyers not wanting a house with a tub their toddlers or babies cannot bathe in. Thank you very much for taking the time to share your insights and experience with others! From your comment, it sounds like you have not managed to sell the home yet. You MIGHT consider paying a contractor to remove the walk-in tub and replace it with a standard $300-$400 bathtub or a $400-$600 prefab shower stall. Tubs and shower stalls come in different widths, so if you do choose this path, it would be good to try to identify a model that fits perfectly in the existing space. If the replacement tub or shower stall is smaller than the walk-in tub, be aware you may need to redo the bathroom flooring too. Of note, a “prefab shower stall” would cover the walls, which could help to prevent you from needing to do refinishing work on the walls once the walk-in tub is removed. In regard to prefab shower stalls, the type that get assembled onsite are typically the most manageable type to install (versus models that already come assembled because they can be difficult to get through the home’s doors and hallways). As a general point of reference, replacing a standard bathtub often costs in the realms of $2,000-$4,000 dollars. The ultimate hope would be that if you have the walk-in tub removed, you can sell the home faster at a higher price point, allowing you to recoup the money invested upfront to replace the tub. I am so glad I saw this article. I keep seeing ads on TV for the walk-in tub and would love to sit in a tub again. (Arthritis, hip replacement, etc.) My husband was hesitant to spend the money and I’m glad he is not as impulsive as I am! Thanks for the informative article. I will stick to showers for now. I am very happy to learn you found the information helpful. Thanks for taking time to share your thoughts! My mother got a walk in tub, but found it very uncomfortable to have to sit cold and naked while the tub filled and emptied. She was very sensitive to cold in her later years and it got to the point that she was reluctant to bathe. Thank you for taking the time to share your experience with others who might be considering to purchase a walk-in tub. My mother in law has one of these fancy walk in tub thingies and a big problem she is having is that the floor and the seat are slippery. She has tried every stick to it rubber mat she can find to no avail. No suction cup will adhere. Has anyone found a product that works to help with this problem? The floor of the tub is bumpy and I’m wondering if any of these topical solutions will work on it? She’s even tried wearing water socks and that hasn’t worked either. The tub surface being too slippery is a problem that has been reported by other walk-in tub owners as well. (This is visible in some of the comments that people have left below.) So far, I am not aware of anyone finding a great work-around to solve this problem yet. It is possible that the adhesive “non-slip safety shower treads” or “non-slip tape for bath and showers” might work. My guess though is that these options will not stick well to the bumps you described being present on the floor of your tub model. The other option to consider trying would be to apply a “non slip spray for tubs and showers,” which it sounds like you alluded to in your comment. I anticipate, however, that it will be harder to clean the tub with such a product applied to the surface. If you have a warranty on the walk-in tub, I would confirm that altering it in this way does not do anything to void the warranty, prior to applying it. People who do have non slip treads on their tubs and showers have reported filling the tub with some water to cover the treads, adding bleach to it, and letting it sit for a bit to clean the surface. Prior to doing so, confirm that it is OK to let bleach sit in the walk-in tub model you have purchased and if so, make sure to open the windows for proper ventilation if you do use bleach for such purposes. Hopefully, another reader has found a viable solution that they will be willing to share. You might try calling the manufacturer of your tub model to see if they are aware of any viable solutions to fix the problem. If you do find something that works, please come back and post a comment and share it with others because it appears to be a problem many people are coping with. It sounds to me that Rhonda has a ‘bone to pick’ with walk-in-tubs and has lost her objectivity. My wife and I operate a supportive living home and over all have had very positive comments from both the clients who use the tub AND the caregivers who assist. We also have sliders, large showers etc. and certainly not all residents use the tub but those who do appreciate it very much. I personally used the tub to see how long it took to drain and it was slightly under three minutes. They may not be for everyone but for many they are a real blessing. You are always wise to maintain a healthy degree of skepticism when reading articles or comments that are for or against a topic. I, the author of the article, do not personally have an issue with walk-in tub manufactures. I do, however, have an issue with walk-in tubs being advertised as the perfect, long-term solution for persons who are aging or for those who are coping with physical limitations that are likely to worsen with time. Prior to writing this article, I’d heard many stories from clients who invested their hard earned savings in purchasing a walk-in tub in hopes it would guarantee them independence in bathing and a lifetime of access to warm baths, only to be unpleasantly surprised later that not only did it not guarantee them a lifetime of warm baths, but it blocked them from accessing the shower/bath at all. My clients noted they had only received one side of the story, which was the positive spin they received from the sellers of walk-in tubs. I believe people should be aware of the drawbacks as well so they can make an informed decision about whether or not it is right for their given situation. Yes, as you pointed out, Walk-in tubs can take varying amounts of time to fill and empty depending on the tub model and the water pressure in the home. This is clearly stated in the article and further elaborated on at the end of the article where I point out that if the time to fill and empty the tub is a non-issue for someone, then a slide-in style tub (a sister to the walk-in tub) may be a consideration because unlike walk-in tubs, ‘most’ slide-in tub models do provide a future-proof solution. And, to your next point, yes it would be possible for a caregiver to rather easily help someone in and out of a walk-in tub “if” the person they are helping is stable enough to safely step in/out over the threshold and the person does not require much assistance to sit down and stand up. However, if the same persons’ condition worsens further, then this would no longer be the case, which is one of the big problems with walk-in tubs – namely that they have a limited usability window for many people. If ALL of the rooms in your assisted living facility have a curbless shower, then the good news is that every resident will always have access to a shower till 100 and beyond. If this is indeed the case, then your residents are very lucky! Since you are an owner of a facility that has walk-in tubs installed, it is important for you to be aware that the walk-in tubs with inward-opening doors DO come with inherent safety risks. If you do not already have a call light or portable phone hook up installed within reaching distance of all the walk-in tubs installed in your facility, then I would HIGHLY recommend to consider adding this modification. People can and do get trapped inside walk-in tubs with inward-opening doors (see the comment by Barbara S. below) and they can fall getting out of walk-in tubs (see DeLores Koch’s comment below). Thank you for taking the time to share your thoughts! I am a firm believer that people should get both sides of the story before making big decisions. 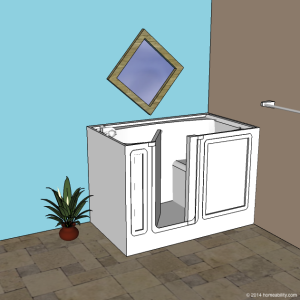 There is another article on the homeability website (Walk-in Tubs: Get the Facts) that assists people who do want to get a walk-in tub, to identify the features that are best for them. Our ultimate goal is to provide people with the information they need to make the right decision for themselves. A few years ago I thought the walk in tub would be perfect for me as my shower had sliding doors and the controls were getting too old to work good, so I asked a friend contractor to get me a walkin tub. It was a disaster to start with as it cost me over $17000 and the second time I used it I fell trying to get out and landed on my left hip which had a hip replacement and my husband had to call 911 for help so I ended up in the hospital with a damaged knee after I already had arthritis in my right knee and both were ridid trying to get in and out as noted in the misconceptions in this article. All manufacturers should warn people that they aren’t made for everyone!! As I found out and now have to have help from my aide who has a hard time holding me as you say I am wet and slippery due to no clothing. I should have had the kind shown that opened out so I could sit on the seat right away. I don’t know which brand of tub I have either as the contractor ordered it for me. No thanks to my tub!!!!! I have reached 90 yrs this year and have to use this for the rest of my life. I’m very sorry that the tub you purchased to make bathing easier and safer…has instead ended up being the cause of an injury and has made bathing more difficult. Thank you very much for taking the time to share your experience. I’m sure that reading about your first-hand experience of purchasing and using a walk-in tub will be invaluable for others who are still in the decision-making stage about whether to purchase one or not. Congratulations on making it to age 90! I hope that every day and year ahead of you is full of smiles and love and that you are still able to enjoy a warm bath with the help of your aide – in spite of the tub. We have received at least 75-100 calls wanting to sell walk in tubs. If I want one I will call a reputable company not someone who calls me when I am on the national do not call list! Thank you for your comment and for taking the time to share your experience with others! The FTC has noted that due to the volume of complaints they get, they can’t respond directly to each one. But they ask people to please keep the complaints coming because the FTC and other law enforcement agencies analyze complaints to spot trends and to take legal action against wrongdoers. If it is a robot generated call, they advise not to push any buttons that offer to remove your number from the calling list, because it is said to result in amplifying the number of calls. For more information, visit the FTC website. We have a walk in tub. We also have the option of a large walk in shower with a bench seat. I’m sure the negatives you write about are true in some situations, but in our case my wife uses the tub exclusively. She has had back surgery seven times including a spinal cord stimulator implant. Our tub fills and drains in about five minutes. It has a pump to increase the speed of drawing. She cannot get in and out of a normal tub. This walkin tub gives her relief from pain, as well as helps her to sleep better. As I said at the start; I’m sure your points are valid for some, but I think it’s a disservice to paint the picture so negatively. I believe a better way to approach the topic would be to suggest talking points to consider when shopping for a tub such as depth, width, wall height, speed of filling or draining, in the tub heating, whirlpool jets, air bubbler or both. If a person lives in a home with poor plumbing that could be an issue, but that can be known in advance by the functionality of existing fixtures. Bottom line it’s not all doom and gloom. Walkin tubs can be highly benificial. They’re not for everyone, but that’s why you must do your homework or have a trusted relative or friend assist if necessary. I don’t sell these tubs or anything else. I am a retired registered nurse. 3. BETTER ALTERNATIVES: There are safer, more future-proof alternatives to Walk-in Tubs that exist, which can help to better support people in taking a lifetime of warm baths. Your wife is very lucky to have a walk-in shower to use as a back up for bathing if she can no longer access the walk-in tub, however, it sounds like she is truly dependent on warm baths for pain management – so in her specific case simply switching to using the shower would be a suboptimal solution because it would leave her sorely lacking in an appropriate means to cope with her pain. I have a sense that you may have missed reading the “Alternatives to Walk-in Tubs” section located at the end of the article. There are safer, more future-proof options available that can help to support your wife and others like her to enjoy a warm bath till age 100 and beyond. “Slide-in Tubs” are one such example that is discussed in the article above. As noted in the article, Slide-in tubs do have some of the drawbacks of walk-in tubs (such as time to fill and empty), but unlike Walk-in Tubs, most of the slide-in tub models will not block a person from bathing entirely. Equipped with this knowledge, it arguably would not make sense to inform a person that experiences severe pain and is heavily reliant on warm baths for pain management, to invest their money in installing a Walk-in Tub (a tub which comes with an inherent and very real risk of one day preventing them from benefitting from the pain-reducing benefits of a warm bath), when there are other viable, safer, more future-proof bathing options available. I am soooooooooo very happy I read your article before investing in a walk in tub. I decided I need a regular tub with a slide-in. I love a tub to soak in and thought you could soak and also I did not think about it having to fill up and empty with one in the tub. Thank you so much for the information. You are sooooo very welcome! I am very happy to know people find the content to be helpful when making a decision about purchasing this type of tub. Thank you for taking the time to share your thoughts! Thank you so much for this article! You saved me from spending a whole bunch of money. I didn’t really think about the fact that I wouldn’t truly be laying down on my back relaxing in one of these things. Looks like I will be having someone install me some grab bars instead so that I can get in and out of my tub safely. Everyone needs to read this before they consider putting down a bunch of money on something that they may regret buying. Thanks so much again! You are welcome. We very much appreciate learning that the article is helpful to our readers. Thank you for taking time to share your thoughts! Rhonda, THANK YOU soooo much, I was seconds away from a purchase “click” of a walk-in when I saw your article. I’m so right-now human, I was sure a walk-in was the best for my ailing Mother. I see this methodology requires strategic thought. Thank you for waking-up that sleeping portion of my grey matter………..
You are welcome! Thank you very much for taking the time to share your thoughts. I am happy to learn that you found the content helpful. Your question brings up another good point in regards to walk-in tubs. Most people that purchase a walk-in tub only think about the expense of purchasing it initially (because they anticipate it will fulfill all their needs in the years ahead.) Nobody anticipates needing to spend more money to have the tub removed, if they can no longer access it due to features described in the article above. Unfortunately, removing it will require you to hire and pay a local contractor to take the Walk-in Tub out. Then you’ll need to purchase a new tub or shower stall and pay a contractor to install the new one. You may also need to pay a fee to dispose of it as well – unless you are lucky enough to find a neighbor or friend interested in buying a used walk-in tub. Good luck! I hope you are able to recoup some of the money you invested in it. Truly one of the best consumer articles I’ve ever seen! Thanks so much for your insights and thoroughness! After reading this we will opt for a deeper and longer tub and a Bath Chair Lift. So glad I found this! Thanks Again! Thank you for the kind words and for taking the time to comment! When you are selecting the new bathtub, make sure to confirm the new bathtub has a smooth floor surface. The Bath Lifts have suction-cup feet that secure the lift to the bathtub floor. Suction cups will not adhere well (or at all) if the tub floor is textured. I am very happy to hear the article’s content was beneficial. These tubs do appear extremely enticing, resulting in many people being unwittingly enticed into buying one …and frequently experiencing buyer’s remorse later. I believe it is always helpful to have the full picture (pros & cons) before setting off to make a big purchase. Thank you the feedback and for taking time to comment! What do you do when a patient already has a walk in bathtub and can no longer safely access it? Any way to modify or just stuck with sponge baths? Walk-in Tubs, unfortunately, do have a very real potential of relegating people to sponge baths at the sink. The simple answer to your question is: No. Unfortunately there is no good way to modify a walk-in tub. I can imagine some extremely makeshift ways of attempting to modify it which would include: cutting off the front wall and the door (leaving a small lip next to the seat to help hold the water inside). Then potentially adding custom panels like those used for tub cuts to refinish the walls & adding a shower curtain. The result however, would be far from ideal (…if it is even possible to do). The patient should consult with a contractor about whether something of this nature is a viable consideration for their tub, or not. Finances permitting, the person can consider having a ceiling lift installed. The ceiling track will need to make a 90 degree turn (making it more expensive) so the person can pass through the doorway and then turn 90 degrees to reach the seat. 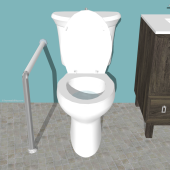 Note: The person’s bottom will be suspended too low (when they are seated in the sling) to pass over the front wall of the walk-in tub, so the person will have to pass suspended in the sling through the doorway. This solution will only work if the walk-in tub’s door opening is wide. Some walk-in tub doors are ridiculously narrow, however, which would make this option impossible. This is an awesome article Rhonda, most seniors wrongly purchase walk in tubs and don’t realize the limitations they have. They are sold on purchasing a walk in tub by a fancy infomercial TV or sales man only looking to make the sale and not properly educating them on the pros (not many) and cons (many) of having one installed. As a dme provider specializing in aging in place solutions I always recommend my customers go with a curbless shower. Curbless showers are just a better option! You are so right about the tub not being as luxurious as the ads show. For my husband who had MS it took too long to fill and empty as he had such little energy. Also, it became difficult for him to step into so got very little use. Now I have a tub that I don’t know what to do with as I never use it myself and would much prefer a regular tub. We have one in our home and have been very pleased with the use of it. It is used for our daughter who can not walk, but is lifted onto the seat and has never been happier. After bathing (with the help of a caregiver (no problem there) is rinsed with the shower head. Ours fills and empties less than 10 minutes. Our jets go through a blowing out cycle after the tub has drained. I wish we had invested in one years ago. Hello! Thanks for sharing your experience using a walk-in tub. Your comment brought it to our attention that the section at the end of the article labeled “Alternatives to Walk-in Tubs” previously only covered solutions for individuals seeking bathing solutions for themselves. We have since updated that section and added alternative options for persons who provide care to others as well. Yes. You are correct. A Walk-in Tub can and does work well for some people for a period of time. There are a number of other bathing options, however, that are better, safer and/or much more future-proof for both individuals and caregivers alike. Given that there are better, safer, more future-proof options available, we would highly recommend to any person reading this article who has not already purchased one to pursue another option instead. Walk-in tubs in general, due to the depth of most of these tubs, are not considered to be safe for children who are physically short in stature and/or unable to stand up. Adults can and have reported sliding off walk-in tub seats into the footwell below. If a small child slides off the seat, their head will be submerged under the water, putting them at high risk for drowning. The Red Cross recommends that children under 5 years of age should not use spa tubs at all because young children are much more prone to dangerously overheating. Most public facilities prohibit children under the age of 12 from using a spa tub. If a middle-aged child uses one, the water temperature should be closely monitored as well as the length of time they are in it. If the tub water is kept in the realms of an average hot tub (~100-104 degrees), professionals recommend that a child age 6-12 not remain in the tub longer than 5 minutes. Also of note, the Walk-in tubs with jets are highly prone to developing mold, mildew and bacteria in the lines because the water gets recycled back through the lines inside the tub. So, it is generally recommended to avoid these models for young children and/or those who are immunocompromised. For readers of this article who are parents of a young child with a disability and who are seeking a solution to make bathing easier, it is important to keep in mind that most children will grow in size over the years and that lifting them can become more physically straining as they do grow in size. 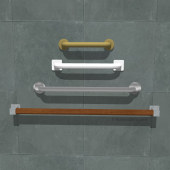 There are other solutions such as a curbless shower combined with a wheeled shower chair; a permanently installed bath lift used in conjunction with a standard bathtub, or a Slide-in tub with the ‘soaker’ feature (non-jetted), all of which can reduce the amount of physical lifting required. In regards to the latter option, it should be determined on a case-by-case basis whether a Slide-in style tub is appropriate for the age, size, health, and physical skills of a given child. We recommend consulting with a healthcare provider for help in selecting a solution that will be best suited to a child’s individual needs. See the section labeled “Walk-in Tub Alternatives” in the article above to learn more about the alternatives to Walk-in Tubs. I would like to know if these tubs are beneficial for an elderly man who lost is leg a year ago. Thanks for visiting homeability.com. No. I definitely would not recommend a Walk-in tub for an elderly person with a leg amputation. If his strength declines further, which is likely to happen as his age increases, he may be forced to rely on a lateral-sliding transfer to transfer between surfaces, which entails removing a wheelchair’s arm rest and sliding sideways from a wheelchair seat to another surface such as a bed, chair, or bath seat. The wall of the walk-in tub blocks the seat inside, making this type of transfer impossible, hence he would be banned from entering. 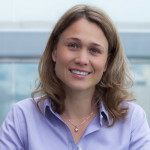 It is worth pointing out that some younger amputees would be able to hop in and out of a walk-in style tub and a person who has a prosthetic leg could walk in and remove the leg, bathe, and don it again before exiting, but even for these persons there are much better, more future-proof bathing alternatives to consider than a tub that requires the user to walk in/out. See the list of “Alternative Bathing Solutions” section at the end of the article above for some other options to consider. In that section, you’ll also find links to more information on each of the options discussed. Wow I am so disappointed, but glad I read this article. I wanted a Walk in tub in our new home,in a few more years but for now we renovated my bathroom just 2 years ago and I got a huge tub I can barely get my leg over the wall I have to hold on for dear life getting on and out I so miss talking a bath, I can’t get up and out like when I was younger I’m not real old but I’m older (56) . Now I don’t know what to do I want a bath, I feel angry that I can’t have a hot soaking bath, now I don’t know what to do ughhhhhh. Walk-in tubs can definitely sound quite appealing on the surface. There are some other options, however, for making it possible to enjoy a hot bath, so there is still some hope! Slide in tubs are one alternative you could consider. They have some of the same drawbacks as Walk-in tubs (I.e. length of time to fill the tub), but should allow you to always be able to have access to a warm bath. Another option that works for some people is a portable bath lift that gets placed inside your existing tub and helps to lower you to the bottom of the tub and raise you back up again. Another possible option to consider would be to install a wall, floor, or ceiling mounted lift beside or over your tub. The permanently installed lifts are usually used by persons with more extreme disabilities, but can be used by anyone. You can click on the blue hyperlinks found in this text to learn more about these different options. Regardless, of the solution you choose, we always recommended to people to keep a portable phone in reaching distance of the tub, as a back-up safety measure in case of an emergency. I hope that you will be able to identify a suitable solution that will allow you to continue to enjoy soaking in a warm bath in the years ahead! What about mold, no one informed me that it builds up mold in the Jets and it comes pouring out the minute you turn on jets. I am completely broken out with eczema because of the tub..beware you don’t have to have eczema to get these results, you’re also breathing in the toxins, Google before you ever get one of these. Paid15,000 and unable to use it. Good point about the mold and mildew. Thanks for sharing your experience! Most walk-in tub models come equipped with one of three features: water jets, air jets, or as a soaker tub only (no jets at all). The walk-in tub models with jets are prone to soap, mold, and mildew building up in the lines internally and around the jets. Anyone who is immunocompromised would be best to avoid the ones with jets for this reason. Models with jets do need to be cleaned regularly, which usually consists of filling the tub with water (when you are not inside), adding something such as laundry detergent, vinegar or bleach and running the jets for at least 15 minutes. Bleach is usually the best candidate for eliminating the mold and mildew, but some manufacturers recommend against using it because it can dry out the tub’s lines internally. Prior to adding anything to your tub (bleach or otherwise), consult with the manufacture regarding their recommendations for what to use/not use when cleaning the jets in your specific model, how much detergent, vinegar, or bleach to use, and how often they recommend to clean them. If you do use bleach, make sure to open the windows so you aren’t overwhelmed by the fumes. Also, make sure to confirm with the manufacturer whether it is OK to use standard soaps and shampoos in the model you have. Hopefully you will be able to eliminate the mold and mildew so that you can make use of the tub you have! Excellent article! It goes to show you, any time you are making a large investment of money, space, time..etc. do you homework and find out the pros and cons! I do not know why my reply was removed so I will post it again. As I previously said, there is at least one brand of tub that will do an automatic blowout of the lines 20 minutes after it has drained, thus no mold or mildew in the lines. I recently purchased one of these for an elderly relative. HOMEABILITY READERS BE AWARE: This comment was Flagged as spam by Akismet. HOMEABILITY READERS BEWARE: The comment above was Flagged as spam by Akismet. HOMEABILITY READERS: It is helpful to keep in mind that the “automatic blow-out feature” described by the author of the comment may fix one problem, but it does not fix some of the more important problems walk-in tubs with inward-opening doors have, such as the fact that they can block you from bathing in the future or that you could find yourself trapped inside. If, however, you are still determined to purchase a walk-in tub in spite of all their drawbacks and you are specifically seeking a model with jets, then a tub that includes a feature to prevent mold growth would be a good consideration. Anytime you plan to select a piece of equipment that will become a more permanent part of your home, especially one that you need to rely on for safety, we ALWAYS highly recommend researching not only the product model, but also the company that offers the tub prior to making any final decisions. We have just spent our children’s inheritance for a power assisted tub. Even though it is frightfully expensive, it will allow us both to stay in our home without fear of bathing and my husband will be so glad to have a daily bath without my anxiety about him falling. The salesman happened to come on a day when I had had to climb over the wall of the tub and stand on the seat with a gait belt around my husband to help him exit the tub. (I am 74) Never mind the time the water wouldn’t drain, the leaking door, the bad whirlpool circuit, the lack of service…. Also wish we had put in a flat-entry shower. Next time. Just wanted to say thank you for sharing the CONS with others. Thanks to Rhonda for documenting the challenges of “Walk-in-Tubs”. In my experience as a bath designer — the challenge of stepping up and over the entrance is the first of many obstacles with this kind of “tub”. My favorite design solution is a moveable bench and adjustable hand shower(s). While its not a soaking solution, the flexibility moving a seat toward the warm water spray is a pleasure. Thanks for the Information on walk-in tubs. Your comments encouraged me to talk with other seniors before purchasing one of these tubs. Among those I talked to, most people who have purchased these bathtubs rarely use them – one couple said that in five years, they have each used it once. Another couple said that the grandchildren thought it was fun, but they wanted to be lifted out – not a good idea for these older people. Guess a walk-in tub may be a good idea for some, but an expensive mistake for most. Thank you for taking the time to share your thoughts and experience with others! Thank you very much for taking the time to share your experience with other readers!